Life brings us to many different places. Each of us is born with a purpose and a mission; we just have to wake up to our true calling and find out how we can best serve not just ourselves, but others. 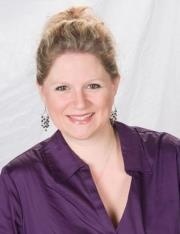 Caroline Devin is a new contributor to Women Move the Soul. She has her own business located in Glastonbury, CT, USA where she helps people to obtain “serenity of body and mind” through nutritional counseling. Want to change your life? Be in better shape to heal from quickly from ailments or perhaps not even get ailments? Then, change your diet to a more healthy one. Enjoy our conversation with our new contributor Caroline Devin! What type of work did you do before you began studying nutrition? I was an accountant for 16 years. What made you decide to make a career change? Actually, this was not just a career change, but a life change. What brought this about? For many years I was on many different diets, yo-yoing back in forth in weight but always feeling unhealthy. I had chronic headaches, IBS and acid reflux from taking so much ibuprofen for my chronic headaches. I went to my doctor and instead of trying to figure why I was having so many health issues, she prescribed drugs for me; Topamax for the headaches and Prilosec for my acid reflux. So in my early to mid-thirties I was on multiple medications that I would have to be on for the rest of my life. I had basically given up. Then one day, I was on another kind of diet, one that focused on eating “real” food, not processed crap and I felt better. A light bulb went off and I started researching food and the importance of eating better for health. I learned that I have multiple food sensitivities that cause my IBS and headaches and when I eliminated them the headaches and IBS were gone. I stopped taking all of my medications and now the only things I take are some vitamins and Omega-3s. In November 2010 I decided to go back to school for nutrition and then in December 2011, I made the decision to get my health coaching certificate. I want to show people that they can feel better. The answer isn’t in a pill bottle, the answer is in themselves. I want to empower people to take charge of their health. You are heavy into recycling. Some people don’t do this because they feel it takes too much time. Why is it important to you? I watched a lot of videos and read a lot of articles about the trash situation in the world and it is really scary. Plastic just doesn’t decompose and it is just piling up and honestly I feel even more important about not using plastic to begin with. The recycling system is getting better but there is just not enough demand for all the plastic waste so even if you do spend the time to recycle, there is no guarantee that it is not going to end up in a landfill any way. The best thing to do is to reuse plastic items as much as possible and use alternatives such as glass and metal. When I go to the grocery store I try to buy stuff in glass (jars) as much as possible and I use a stainless steel reusable water bottle and I ALWAYS bring my own bags to the store. It is virtually impossible to avoid plastic but you can make a difference with small changes. Do you have any suggestions for people who are not recycling as much as they should be? How can it become an easier thing for them to do? People need to realize that it’s important. It’s really not a hard thing to do. Most towns make it pretty easy with an extra pickup for recycling but one thing you can think of is that it saves some money as you won’t be throwing out as much and therefore saving on garbage bags. Back to nutrition – are more of your client’s women versus men? Why do you think that is so? I have a pretty even split between men and women. I think people want to eat better and feel better and the traditional medical system is failing them. Doctors are just pushing drugs and offering no real solutions. Don’t get me wrong, I believe there is a place for doctors for serious illnesses that are not nutrition related but, in general, people can control their health and they are starting to realize that. What do you think or have you been told as the most prominent reason that people do not make a change to a healthier lifestyle and what would you suggest they can do to slowly implement changes? No time – everyone claims to have no time to prepare healthy meals or to exercise but we all seem to have time to watch TV every night. It really is about priorities. Get up an hour earlier, make food for the week on the weekends and freeze it into serving sizes, go for a walk after dinner instead of watching TV. Make your health important and stop making excuses. There are tons of ways to make changes easier but you have to make the decision to do it. You are worth it and you only have one life to live so you should feel your best!